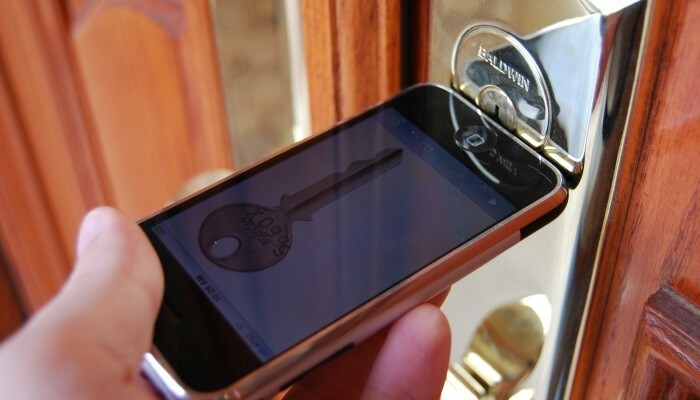 Did you know that you can control you door locks with your smart phone? With the new smart key technology, you can tell who and when someone has come into your facility or business. 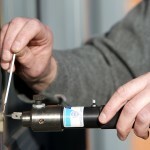 High security key systems can also eliminate frequent lock rekeys in industries where the employee turnaround is high. For those who call a locksmith during an emergency, taking a critical look at the company that you are contacting tends to fall by the wayside. Here are some questions to ask when hiring a locksmith. Under British Columbia’s Security Services Act, businesses and individuals offering these services must hold a valid security license issued by the Registrar of Security Services. In addition, the locksmith company itself should have sufficient liability insurance. Abby Locksmith has WSBC coverage, and its locksmiths are certified. If so, is it local? Many local locksmiths operate solely from their trucks. Others with an online presence may appear to be local, but are actually located elsewhere, subcontracting the work to area individuals. Abby Locksmith is a three-generation family business that employs Abbotsford specialists, and runs the only physical storefront location in Abbotsford. For how long have you been operating? As is the case with many technical areas, the length of time in the locksmith industry is directly related to depth of experience, level of professionalism, and ease of access to the widest range of security options. Abby Locksmith has been in business for over 20 years, and its team holds well over a century of experience among them. At minimum, a reputable locksmith offers a minimum warranty period of 30 days, to cover unintentional installation or hardware issues. In addition to honouring a two-year manufacturer’s warranty on hardware, Abby Locksmith offers two-year coverage on labour. Do you have a professionally marked van or fleet? Unmarked locksmith vans can cause worry to some customers, as the identity of the person at their front door can be cast into doubt. Abby Locksmith’s branded fleet vehicles are immediately recognizable, as are the technicians’ company shirts. We encourage customers expecting a visit from us to get to know their technician in advance, by clicking on our staff bios. Lock bumping has been around for a few years. Apart from a few news magazine stories, it hasn’t received a lot of play in the media. At first, homeowners expressed concern, but that faded as the coverage faded, mostly due to the lack of criminal statistics on lock bumping. Upon responding to a burglary call, police find the likely point of entry and examine for damage to the home. A lock bump leaves virtually no trace, unless the process is performed poorly. Hence, statistics for lock bumping are inaccurate since those incidents are normally categorized as “no visible sign of entry” by the officer on the scene. Let’s look at what lock bumping is and how it’s performed. To start, a brief overview of how locks work is necessary. As a key slides into a lock, the pins inside the lock slide across the notches and valleys cut into the key, lifting and lowering the pins. When they’re properly aligned, the cylinder can be turned and the door can be opened. A bump key takes advantage of this. A bump key is made by filing v-shaped notches into a key at the points where the pins coincide inside the lock. When the bump key is inserted into the lock, it is aligned with the pins, although it cannot move the cylinder. 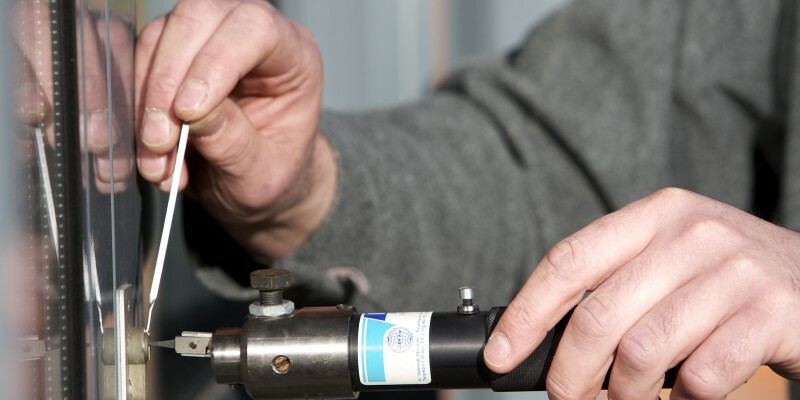 By applying a bit of lateral torque and simultaneously bumping or tapping the key with a rubber handled tool, the pins in the lock pop up momentarily. This is long enough for the key to turn the cylinder and open the door. While there are numerous brands of household deadbolts, they’re all based on the original Yale design, meaning they’re all vulnerable to lock bumping. With a thorough set of bump keys, the vast majority of homes can be opened in two seconds with very little noise. Currently, the only solution is to buy a high security lock Mul-T-Lock or Abloy locks that use rotating disks or pins on the bottom of the lock to defeat lock bumping. They’re priced reasonably and will reinstate your peace of mind. Why is the Back Door a Weak Spot? Back doors have a number of weak points. Their most obvious weakness is the lack of locks. Few back doors have deadbolts, door chains, and other locks. Instead, they usually have a single deadbolt, without any accompanying security measures. Furthermore, these doors often have more glass. Indeed, some people’s back door is nothing but a screen door – an entire door made of nothing but glass and a small latch used as a lock. That is not nearly enough security for most homes, and makes it easy for potential thieves to simply shatter the back door and enter. 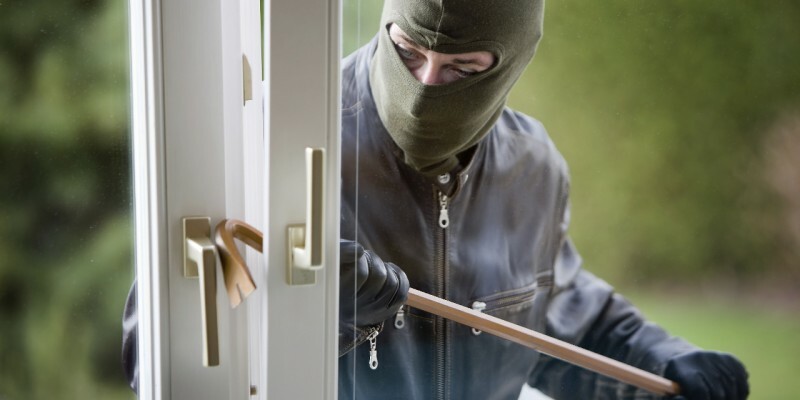 While adding security to your front door is important, few burglars use the front door as an entrance point. They look for weaknesses, and the back door of your home is likely a weakness. There are equally as many potential locks and security devices that can be installed on your front door as your back door, and unlike your front door, you don’t have to worry about your home feeling uninviting due to this high level of security. You can keep all of the locks closed when you’re not using your backyard, and open them only when you need to. Your security needs to keep all of your weak spots in mind. 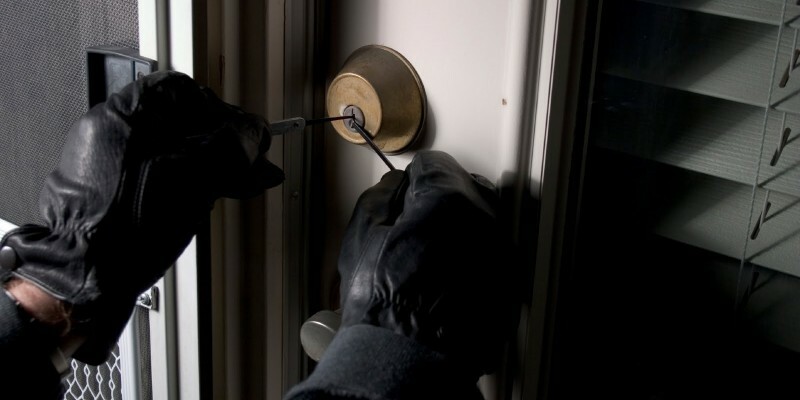 Your back door is one of the prime weak spots that burglars can exploit. That is why it is important that you install effective security devices on your back door and keep burglars from entering.